As the ANC presidency campaigns intensify, often marred by scandals and violence at the Eastern Cape Electoral Conference, there are renewed calls for President Jacob Zuma to step down by some corners of society and opposition parties. The question of succession is a pressing one, and it’s interesting to monitor social media chatter as it relates to the South African political scene. By MONGEZI MTATI. Two recent events created quite a stir online. 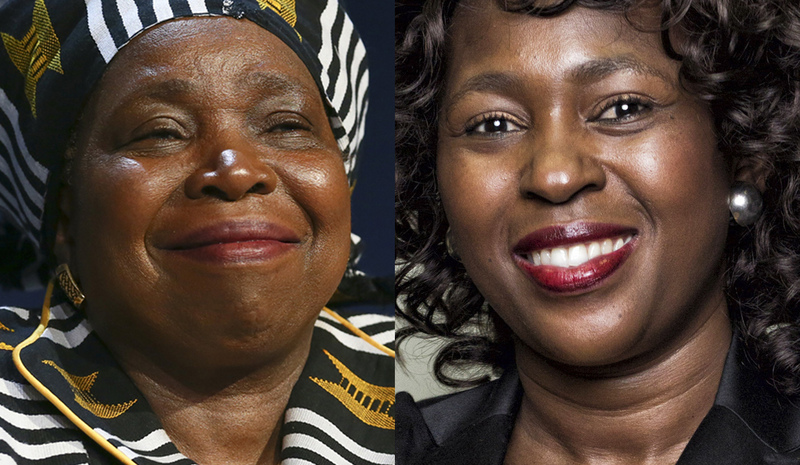 On Thursday, 21 September 2017, ANC presidential hopeful, Dr Nkosazana Dlamini Zuma, was sworn into Parliament, on the same day, Dr Makhosi Khoza, dropped a bomb that sent shock waves across social media by resigning from the ANC. WordStart, in collaboration with Crimson Hexagon, have investigated, tracked and analysed the social media conversations, the sentiment and public social media perceptions, as they relate to these two events. This specific analysis forms part of a larger piece of social media research that will investigate the race to the ANC presidency that will be decided at the electoral conference due to take place in December this year. An analysis of social media data for the period 1 September to 1 October 2017 reveals just over 16,000 posts on the topic of Dlamini Zuma and Makhosi Khoza, with the most mentions happening on Twitter on 21 September 2017. Some people on social media felt the move to swear in Dlamini Zuma would position her campaign more effectively in the running for the party’s top post. The graph below shows the total number of posts that mention both Dlamini Zuma and Khoza throughout the period and the 21 September spike is clearly evident. Leading up to 21 September, social media conversations were dominated by the public’s choice of ANC candidates. As factions within the ANC, and the public at large align with their candidate for party president, we see more linked social conversations, with Deputy President Cyril Ramaphosa often mentioned alongside Dlamini Zuma. Khoza began making a greater appearance in social media mentions from 5 September, with some public mentions speaking about her redeployment from chairperson of the Public Service and Administration Committee to the Economic Development Oversight Committee. We see social media making more mentions of Khoza on 10 and 11 September following her non-attendance at her disciplinary hearing. September 21 saw most of the posts being shared on social media, where 90% of the 4,954 posts that were picked up came from Twitter and the majority of these were by members of the public who watched parliamentary proceedings. The surname “Khoza” appears 3,805 times mostly from Twitter, followed by “Dlamini” which makes 717 appearances and “Zuma” which accounts for 760 mentions. Zuma has overlaps between the President and Dlamini Zuma – both of which come up a lot in social media mentions on 21 September. When looking deeper into the social media data we also note mentions of ANC national spokesperson Zizi Kodwa whose surname comes up in 108 mentions from the media to the public. Twitter mentions still largely referenced media houses as they were the ones who shared most near real-time stories and happenings from Parliament. The public sentiment on most social media data sourced by WordStart and Crimson Hexagon on 21 September are negative towards the ANC, while suggesting that the resignation was a positive move on the part of Khoza, which in turn also supports her arguments and her perspective on the corruptness of the ANC. Although Twitter was the most dominant platform on 21 September accounting for 90% of total mentions (or 4,482), there was also a general dominance of known media outlets that South Africans generally follow for daily content. It is also worth noting that most news content ends up on Twitter and other social platforms, which further adds to the overall mentions among the 16,084 for the month. Most Facebook content is kept private and not available for usage or analysis by outside platforms, as a result the numbers remain low due to the platform’s restrictions. People on social media were vocal throughout the month, from Khoza’s public criticism of ANC processes, citing that the Pietermaritzburg High Court ruled that the party’s provincial leadership was unlawfully elected, to her invitation to media as she prepared for the announcement on 21 September. The most influential Twitter content was driven by media outlets which account for 15 of the top 20 most influential authors and the Democratic Alliance was also among the most influential authors over the period – as shown below. We begin to see an even split of individuals and media in the top 10 of the most active Twitter users over the period. The list below is a collection of Twitter accounts that had the most number of tweets on the topic of Khoza and Dlamini Zuma in September 2017. Social media data shows President Jacob Zuma as the common link in all mentions about both Dlamini Zuma and Khoza. In the case of Khoza, people make mention of the President in association with the resignation and the reason for the disciplinary hearing. It is also perceived that Dlamini Zuma goes into Parliament as a way for the President to enable her party presidency campaign to gain momentum. A snapshot of the first 4,000 thousand posts shows Ramaphosa with greater prominence, mentioned a lot in relation to his campaign now that Dlamini Zuma is in Parliament. Some of the data also alludes to allegations of an affair which some people think may affect Ramaphosa’s run for ANC president. The first 5,000 posts also show themes that include ANC corruption, the Gupta family and the ANC elective conference in December. Some earlier and less prominent themes – as shown below – begin to decline as more post data is included. WordStart and Crimson Hexagon will bring more data as the campaigns intensify leading up to the December 2017 ANC elective conference.